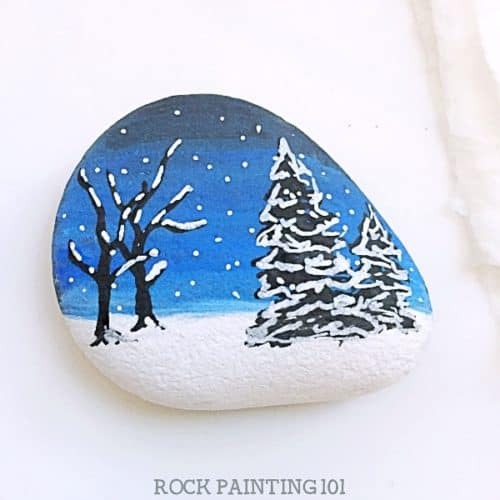 These Winter rock painting ideas you can create while the weather is cold and you’re bundled up inside. Use them to decorate, give as gifts, or hide in your city. 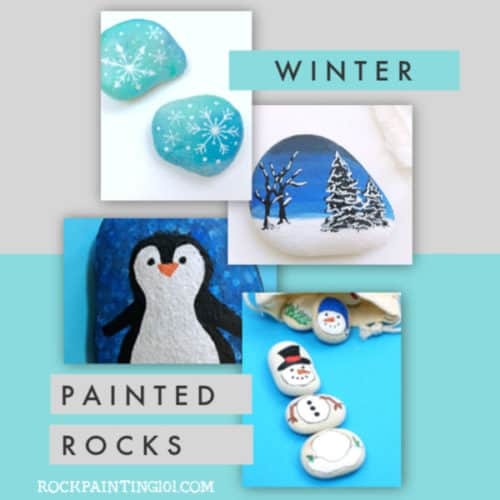 While the snow is falling and the fire is going, you can cozy up with some paints and rocks to create these fun winter rock painting ideas. From super simple snowmen to beautiful winter landscapes. You’ll find something that’s perfect for the season. 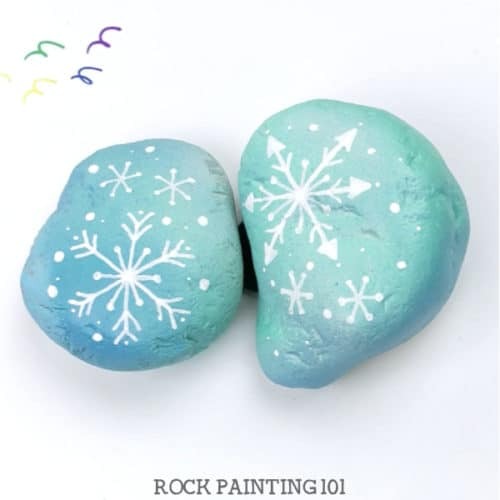 Some of these winter painted rocks are perfect for hiding around the city or to send to a friend who doesn’t have any snow! 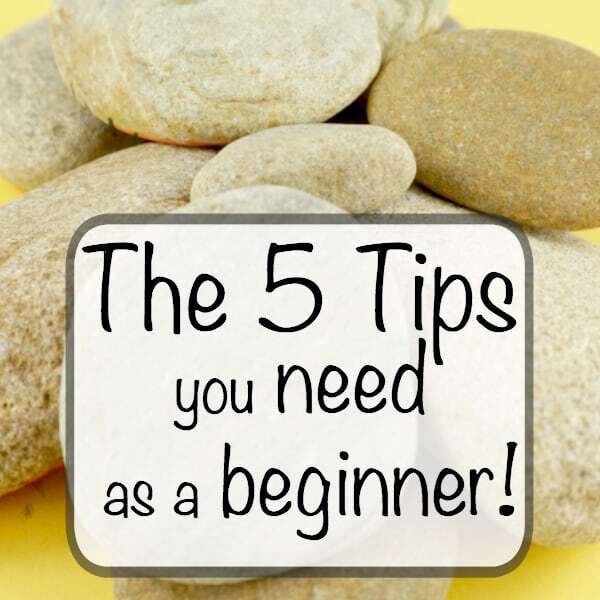 This lovely snowy scene is perfect for beginners. Follow the step by step instructions and you’ll be painting like a pro! 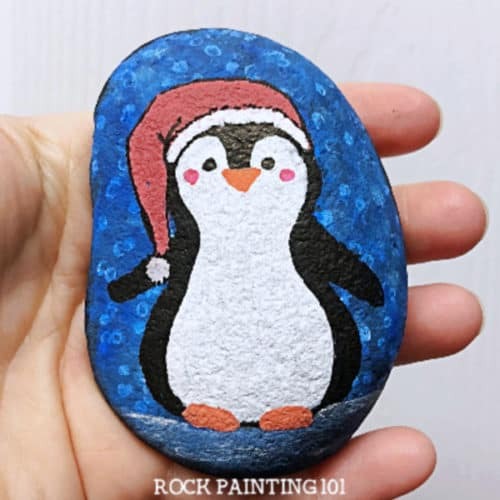 This penguin is super cute and perfect for winter rock painting. Sometimes you just need a background that feels like winter. 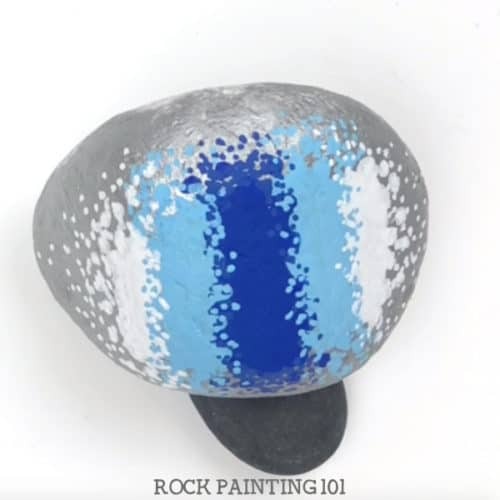 This dot painted background will make your winter rocks pop! You can’t have winter without snow! This step by step tutorial will have you filling your home with snowflake rocks! 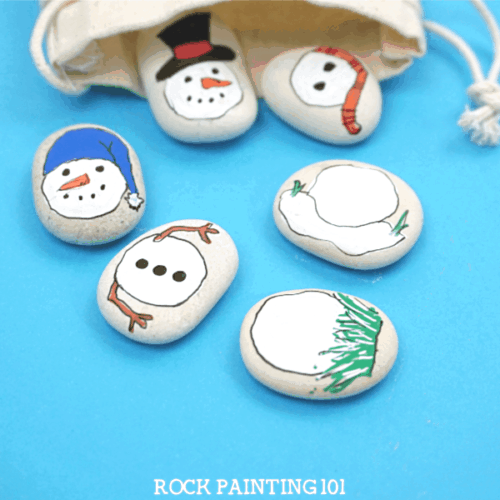 Assemble your snowmen with this fun painted rock game! 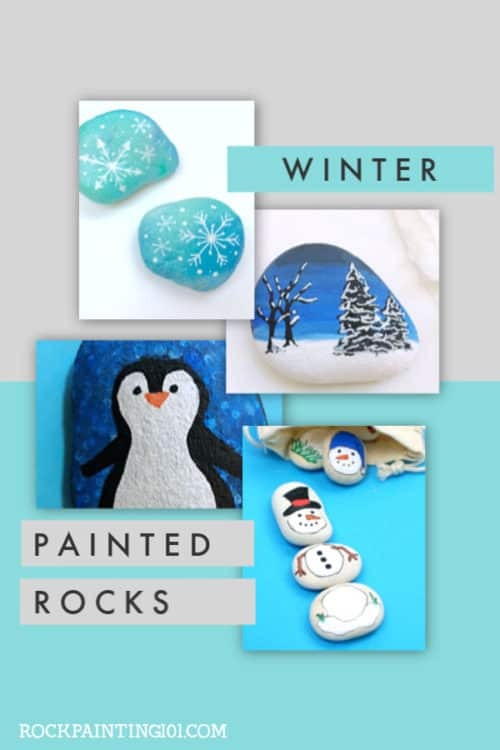 Pin these seasonal painted rocks to your favorite Pinterest board!